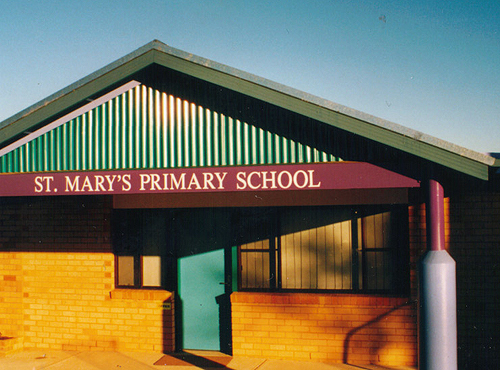 The Primary School design unifies original and new buildings with a covered way that sweeps across the site, and a bold colour signature that continues through the interiors. Located in the wheat-sheep belt of NSW, the design makes references to the integrity of local rural architecture, incorporating verandahs, galvanised iron walling and simple roof forms. In winter, the advantages of careful sun orientation are combined with heavily insulated walls and roofs. Summer heat is reflected by galvanised iron roofs and continuous ventilation is provided by wind-driven turbines. 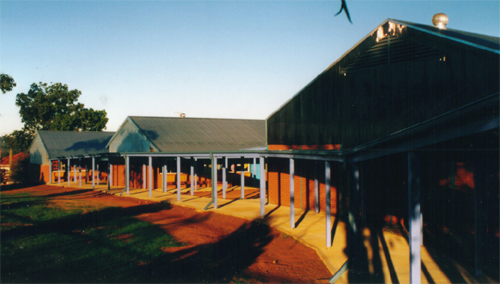 In the assembly hall, energy-efficient comfort in summer is provided by roller shutter operated breeze-ways and use of interior artificial lighting is minimised by clerestory glazing using UV-filter polycarbonate. 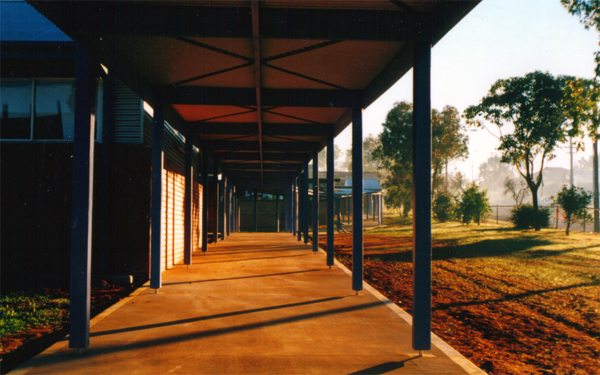 The project included a new multipurpose school assembly/sports hall with kitchen, toilet and shower facility; six large air-conditioned classrooms with internet and intranet; a new school entrance and covered way; conversion of spaces to house a new library and staff room; air-conditioning and extension of the existing administration block.